Murder on the Orient Express, 2017. 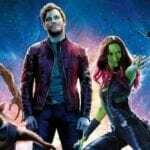 Starring Kenneth Branagh, Johnny Depp, Penélope Cruz, Willem Dafoe, Judi Dench, Josh Gad, Leslie Odom, Jr., Michelle Pfeiffer, and Daisy Ridley. What starts out as a lavish train ride through Europe quickly unfolds into one of the most stylish, suspenseful and thrilling mysteries ever told. From the novel by best-selling author Agatha Christie, Murder on the Orient Express tells the tale of thirteen strangers stranded on a train, where everyone’s a suspect. One man must race against time to solve the puzzle before the murderer strikes again. There has been quite a while since we last had a big-budget murder mystery on the silver screen – I’m not counting The Snowman on accounts to how awful that movie is. Even longer since we last had a murder mystery with a cast with the pedigree Murder on the Orient Express has. It is a shame that the genre started to be diluted into horror, and detectives were replaced by common people trying to survive or find serial killers. 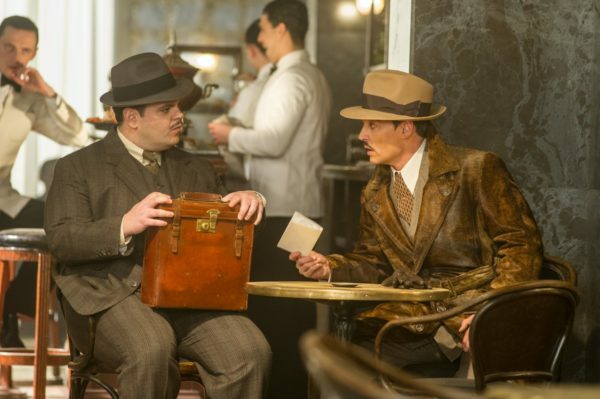 Murder on the Orient Express takes us back to a time when detectives were held in high regard and Agatha Christie novels were all the rage. Based on arguably her most famous book, we are transported to a time of first-class train travel when you had to wear a tuxedo to the dinner cart. From the opening scene director Sir Kenneth Branagh and cinematographer Haris Zambarloukos presents us a majestic world that’s so set on being old-fashioned, it is filmed on Panavision 65mm. The rest of the movie is just as beautiful, but not as good as the other murder mysteries it tries to imitate. 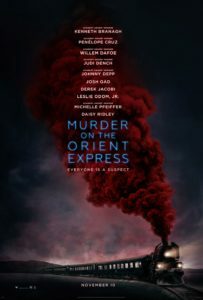 If you don’t know the story by now, or if you haven’t read the title of the movie Murder on the Orient Express, there is a murder – and it happens aboard the Orient Express. Branagh pulls a double shift as he not only directs, but stars as famous Belgian detective Hercule Poirot (don’t ever pronounce it Hercules, he hates it) a man tired of his fame, but never of his moustache. If you walk away from this movie with just one thing, it should be the image of Branagh waking up with a sleeping mask for his moustache so it keeps flat overnight. Even though Branagh plays the detective as a man tired of seeing the darkness in the world, he is the movie’s biggest source of glee and joy. Poirot has an infectious sense of humour, and every other line will get a chuckle out of you by seeing the way he himself chuckles at his own words. There are other 13 passengers on the train, but they are so underdeveloped you will only recognize them because of the known faces playing them. Even then, the performances don’t disappoint, from a star-in-the-making Leslie Odom Jr. as a doctor with hidden rage, to Michelle Pfeiffer squeezing her screen time as much as possible to make her character almost as three-dimensional as Poirot. Murder on the Orient Express shines whenever Poirot is on-screen, and whenever Branagh is behind the camera. From beautiful tracking shots of the train or the surroundings, to an overhead shot inside the already claustrophobic train keeps you in awe while the plot thickens. Unfortunately, the movie has some poorly timed CGI that makes even the very real train sets look fake. In case you, like me, are not familiar with the book or the 1974 adaptation, this is not a whodunnit. The audience never gets enough clues to work out who the murderer is. Instead Poirot magically deduces things left and right with no other explanation other than he’s the world’s greatest detective. 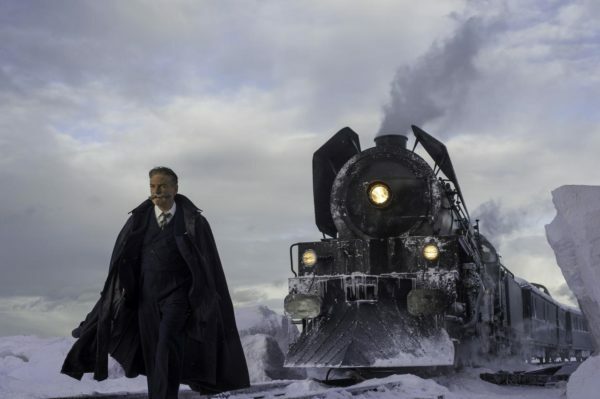 Murder of the Orient Express is not nearly as self-aware as Clue, but it embraces its unrealistic silliness to the point where it feels like a joke played straight, and that’s what makes this attempt at a murder-mystery revival an enjoyable experience. The fact that it also looks beautiful makes this worthy of the biggest screen you can find, and a bunch of friends to go along and laugh at that incredible moustache.